For the two of you that regularly read our infamous Gamer Dating Blog, or better yet, for the now thousands of video game enthusiasts who have registered at LFG, you can tell pretty quickly that we despise stereotypes. After all, that was our primary intent behind bringing LFG into reality: LFGdating is the only safe, authentic gamer dating site where stereotypes are left at the virtual door. We’re all the same here, and although video games has brought us all together, our primary goal is to find love. Taylor Stein, a high profile, freelance video game writer (and enthusiast), published a great review of the gaming industry’s demographic, and although the article is over a year old it still holds relevance today. What Miss Stein has uncovered is pure statistical, quantitative truth: gamer girls not only exist, but there’s lots of them. If you’ve already signed up at LFGdating, then you already knew that point; for those of you who are skeptical, check out Taylor’s solid prose and register at LFG for a free reality check. 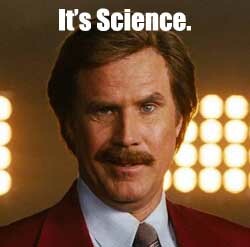 Ron Burgundy said it best (doesn’t he always? ): “It’s science”. You can’t shy away from statistics, especially when they come from a reputable source. The Iraq Minister of Information from the recent Iraq War? Yeah, I wouldn’t trust his figures, but I digress. Let’s take a gander at Miss Stein’s article: Guys Like Girl Gamers, GamerGirltay.com. Taylor is spot on, and like any good writer she cites her sources (notice how Wikipedia is not one of them). While all of the cited figures stand out, numero dos is just downright glaring: “40% of all gamer players are women”. For the mathematically impaired folks out there, that’s nearly half. Yes, they are out there, and they are real. Like any other woman however, the gamer girl community doesn’t like to hang out in sketchy places. Would you try and pick up a girl in an alley? Of course not, well, I mean I hope not. That’s where LFG stands out, and why we feature a girl/guy ratio that falls right in line with the industry statistic above: LFG features real people. Why do we attract real folks? We provide an advertisement-free environment, complete with 256-bit SSL security so your personal information is always protected. Plus, we’re not like the other so-called gaming sites: our backend and matching algorithm is 100% homemade. We don’t connect you to some other sketchy dating site’s database, and we never will.